This lovely all brick features vaulted ceilings, dressed w/crown molding & the perfect jetted tub for relaxing. It is situated on one acre in Rainey Estates in northern Mercer County, a subdivision that offers a spacious country atmosphere. You will find plenty of room in the great room, workable kitchen w/formal dining room, large master bedroom w/the master bath containing that jetted tub, separate shower & double bowl vanity. The other two bedrooms are nice size w/one offering a walk-in closet. You will also find very organized utility & hall closet. It does not get any better outside. Enjoy warm weather on back deck that stretches the length of the house & yard large enough for every outdoor activity you can think of! Nice home, good setting make you appointment to view today! Direction: BG South 127 to 1160, right on 1160, right on Rainey Estates. 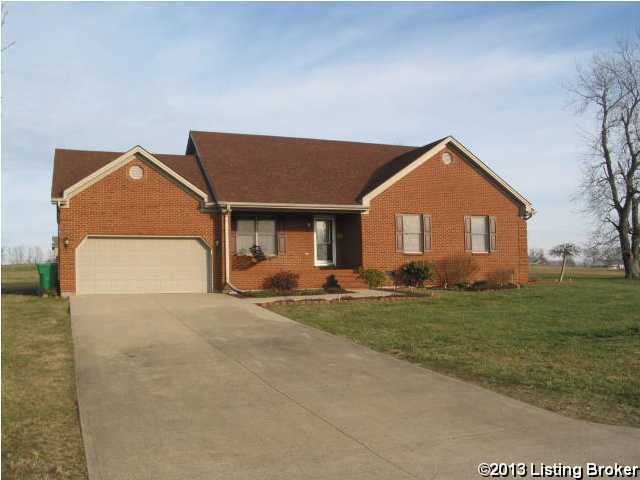 163 Man - War Dr #Man-o, Harrodsburg KY 40330 is a Home, with 3 bedrooms which is recently sold, it has 1,604 sqft, 1 ACRE sized lot, and Attached parking. A comparable Other, has bedrooms and 0 baths, it was built in and is located at and for sale by its owner at $ 0. This home is located in the city of , in zip code , this County Other, it is in the Subdivision, and are nearby neighborhoods.